In Chaps. 8 and 9 techniques were described for modulating the light of a semiconductor laser by using external electro-optic or acousto-optic modulators. However, it is also possible to internally modulate the output of a semiconductor laser by controlling either the current flow through the device or some internal cavity parameter. Such direct modulation of the laser output has the advantages of simplicity and potential for high frequency operation. 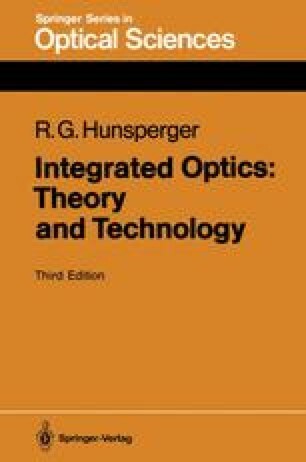 The topic of direct modulation of injection lasers is considered in this chapter; this follows the discussions of semiconductor laser fundamental principles and operating characteristics in Chaps. 10–12, so that the reader will be better prepared to appreciate the subtleties of the methods involved.